Creating technology that is both efficient in design as well as highly functional used to be impossible, but in today’s day and age, it has become the norm. Which is why Honda has excelled so quickly in such a cutthroat and fast-moving environment. They have taken that idea and implanted it wherever they can, the 2019 Honda Fit is a prime example! It may not be the biggest vehicle, but the Fit packs a lot into its tiny frame. 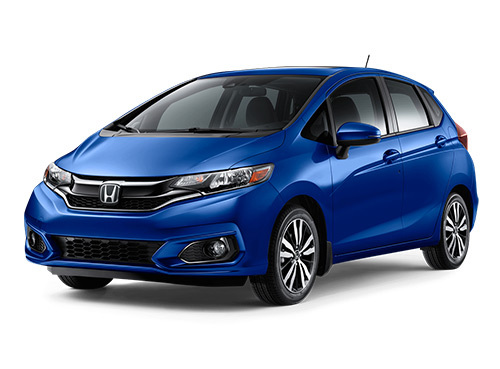 The Honda Fit is a subcompact car you can own with a starting price of just $15,490. This vehicle is filled with big ideas driven by Honda’s incredible innovation and world-famous reliability. The exterior of the Honda Fit is wrapped in a tight frame that is constructed with equal parts athletics and elegance. The high-arching back end supplies ample trunk space while keeping the overall length of the vehicle short. The front end slopes aggressively down to the Honda “H” emblem, that makes the Fit look more threatening than most vehicles its size. Additionally, the new design of the Sport trim is more assertive thanks to its bright orange front spoiler, the rear exhaust finisher and rear diffuser. This subcompact car pushes so far beyond what is normally thought of when you think of a compact vehicle. 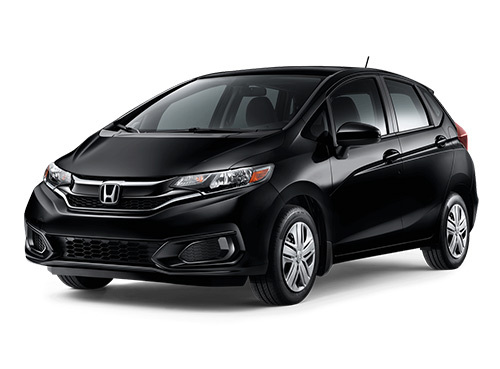 The 2019 Fit muscles out 130 Horsepower and 114 ft-lbs of torque out of a 1.5 L 16 valve Direct Injection DOHC i-VTEC® 4-cylinder engine. It does this while also being one of the most efficient vehicles on the road. With a fuel efficiency rating of 8.1 L/100km City and 6.6 L/100km Highway, there’s just nothing quite like it driving in Edmonton. The 2019 Honda fit may be small in stature, but it’s a capable vehicle! Stop by at Alberta Honda or book a test drive online today! Contact us at Alberta Honda, your Honda Edmonton dealership, for more information on the 2019 Honda Fit or to book a test drive.